You can't go wrong with white. 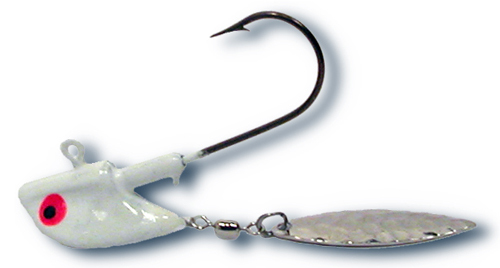 I typically use a short shank for most of my live bait needs and this jig excels at everything. 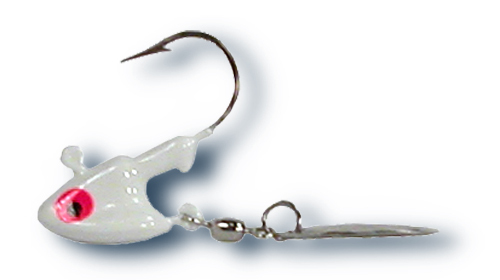 The stand-up style works great for live bait application to stand the bait up off the bottom on the pause and make the bait more visible to the fish. Once popped back up, the blade goes to work and provides the extra flash and vibration to attract game fish. 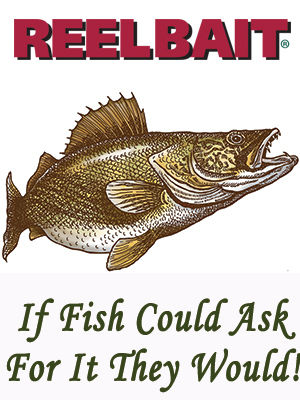 The design is brilliant because the blade slows the fall of the jig, it creates flash and vibration and the stand-up style assists in less snags while jigging in rock and flooded timber areas far better than other styles I have used in the past. The Flasher Jig increases visibility, the vibration crated by the flasher calls the fish in close and the bait, well, it's just the icing on the cake that fish just can't refuse.